1. Dates/Terms/Eligibility. KIRN 670 AM (the “Station”) may change the dates and/or terms of the Contest without prior notice. 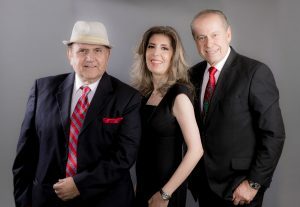 Any material changes will be broadcast on the Station and/or posted on its website www.670amkirn.com. The Contest is open to legal U.S. residents, 18 years of age and older, residing in California. Employees or agents of the Station, Lotus Communications Corporation, other area radio stations or any entity associated with the Contest, as well as members of the same household of any such employee or agent, may not participate. Persons who have previously won a prize (cash, services, merchandise) from a contest or station event from any of the Lotus Communications Corporation Radio Stations are subject to the following restrictions: Persons who have won a prize valued up to $100 in the last 30 days are not eligible to participate. Persons who have won a prize valued between $101 and $499 in the last 90 days are not eligible to participate. Persons who have won a prize valued between $500 and $999 in the last 6 months are not eligible to participate. Persons who have won a prize valued at $1,000 or more in the last 12 months are not eligible to participate. One entry per email per household. These restrictions also apply to immediate household members of contest or prize winners. There is no purchase necessary to enter or win. 2. Prizes. All sales, prize and other taxes, gratuities and any other incidentals associated with the prize are the sole responsibility of the prizewinner. Prizes are not transferable or exchangeable and may not be substituted, except by sponsors for reasons of unavailability. In which case, a prize of equal or greater value will be awarded. The Station assumes no responsibility or liability for damages loss or injury resulting from acceptance or use of the prize. The Station is not responsible for replacing tickets in the event of show cancellations as a result of weather, promoter or performer. The Station reserves the right, in its sole discretion, to cancel or suspend a promotion, game or contest should a virus, bug, computer or other problem beyond the control of the Station corrupt the administration, security or proper execution of any Internet promotion, game or contest, or the Internet portion of any promotion, game or contest. The Station, in its sole discretion, may award prizes to entries received by alternate means. Decisions of the Station/Judges are final. 3. Conditions/Restrictions. Calling the Station to participate in the Contest constitutes permission for the Station to tape the caller’s voice and use it on the air. All telephone calls during the Contest may be taped without further permission from the caller. By entering the Contest, all participants consent to the use of their name, photograph, likeness, biography, voice and/or video for advertising and promotional purposes, including online announcements, without limitation and without compensation. 4. Conditions/Restrictions. Each winner will be required to produce identification satisfactory to the Station. Each winner will be required to sign an affidavit of eligibility and release, including a publicity release, as prepared by the Station prior to receiving their prize. Each winner will be responsible for any taxes or fees that result from the receipt and/or use of their prize and may receive an IRS Form 1099-Misc. The Contest is void where prohibited by law. Anyone using fraudulent means to participate and/or win the Contest will be disqualified. 5. Conditions/Restrictions. Station and sponsors are not responsible for technical, hardware, software or telephone or other transmission failures of any kind; lost or unavailable network connections; or incomplete, garbled or delayed computer transmissions whether caused by the Station, users, by any equipment or programming utilized in promotions, games or contests, or by human error which may occur in the processing of submissions, which may limit a participant’s ability to participate. 6. Release and Indemnification. In exchange for the right to participate in the Contest, each participant agrees to release and indemnify the Station, and its officers, directors, agents, parent companies, subsidiaries and employees (the “Released Parties”), from any and all claims, demands and/or causes of action of any nature or kind whatsoever, whether presently known or unknown, foreseen or unforeseen, that arise out of the participant’s participation in the Contest. 7. Rules. Any violation of these rules will result in disqualification. Copies of these rules are available at the Station’s website www.670amkirn.com, in person at the Station’s studios at 3301 Barham Blvd, Los Angeles, CA 90068, during regular business hours or by sending a request, along with a self-addressed stamped envelope, to the Station at this address.